The writer is an author and critic. He has served on the board of the National Language Authority and is co-founder of the Karachi, Islamabad and Adab literary festivals. THE country is reeling from a near-war, one which could have turned into a nuclear catastrophe of global dimensions; the economy is on the verge of collapse; terrorism has been fuelled by decades of internal strife as well as regional politics; the centre has barely managed to hold on as its relationship with the provinces cries out for re-examination; the very real threat of climate change is upon us; poverty and corruption continue in a decaying social fabric. Meanwhile, the federal cabinet has taken out the time to announce the merger of the Urdu Dictionary Board and the Urdu Science Board — as if there was a dearth of priority issues to ponder over. Poorly argued and badly presented, one cannot help but wonder what the scope of the debate was, and what really was discussed before reaching such a decision which, at best, is ill advised, ill conceived and badly timed. It also reveals a fundamental lack of understanding of what these bodies are all about and what functions they serve. The Urdu Science Board is based in Lahore and the Urdu Dictionary Board is in Karachi. Given completely different mandates, they have functioned independently over the years. In a country with a sad history of failing organisations, they have carried out tasks well worth citing as national achievements. 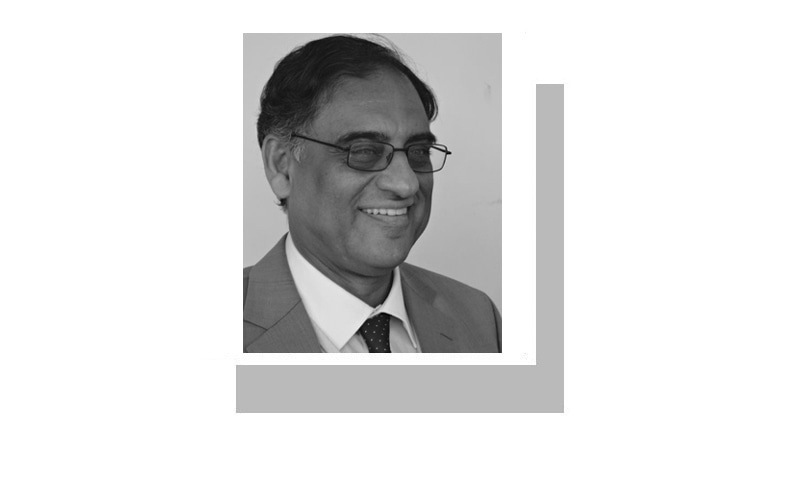 Perhaps the only common element between the two is the word ‘Urdu’ which has led the policy pundits in Islamabad to believe that the two bodies must be doing something similar, and so should best be merged; the main reason cited is to cut costs. There is no mention of the cost in terms of time and money spent on what it takes to reach such ill-informed decisions. The Urdu Dictionary Board was established in 1958. It was a cherished project of Maulvi Abdul Haque. In 22 volumes of more than 1,000 pages each, it has formulated a contemporary dictionary of the Urdu language. If the publication of a dictionary is taken to mean that the task is over, then British academia would have been sitting idle, twiddling their thumbs after Samuel Johnson’s completion of the Herculean task of writing the Dictionary of the English Language. Why combine the Urdu Dictionary Board and the Urdu Science Board? Policymakers must be informed that such dictionaries are not one-time affairs as they have to be constantly revised and updated as befitting a living language. Perhaps they could borrow an idea or two from the Oxford English Dictionary which does not consider its task over, and each year adds new words to the English language. The Urdu Dictionary Board has publicised its plans to revise and update its dictionary and make the dictionary available online with special editions for young readers and students. The Urdu Science Board was founded in 1962. It has published more than 700 books and is able to generate its own funds for its publication programme. It was set up as a federal body by the federal cabinet. Following the passage of the 18th Amendment, it has been associated with the education ministry and now with the National History and Literary Heritage Division. Tossed from one playing field to the other, it seems that while the two bodies have clear ideas of what to do, the federal government is not sure of what to do with them, assigning them to one place and then another in a haphazard manner with one contingency plan replacing another. Where the stated reasons for this supposed merger are concerned, the appeal to austerity would have been worth paying attention to if the newspapers had not carried jubilant expressions of provincial lawmakers voting for huge salary increases for themselves. There is plenty of money with the exchequer if the hand reaching out to the kitty is well connected. Rather than financial gain, there will be a loss of valuable assets, as well as of the record of tasks completed and those in hand. Merged into a single, two-headed monster, will the bodies be able to carry out even a fraction of the work they have been doing so diligently over the years? The policymaking body is headed by Ishrat Husain who has the reputation of a management wizard. He has promised to make them more efficient and independent. With all respect, he should call out for case studies of the original scope and objectives, how the two institutions managed to survive repeated governmental bullying and the value of what they have achieved. A re-examination is certainly needed, but not of the kind which throws out the baby with the bathwater. With substantive investment, the two bodies deserve to be saved from quick-fix demolition and their feasibility strengthened with renewed mandate for the future, instead of leaving them with a purloined history. Very valid and cogent reasons have been stated by the worthy writer, I am sure Dr Ishrat Hussain who is the head of the policy making body, would definitely like to reassess the faulty and uncalled for merger of these boards. Austerity doesn't mean you start demolishing the very roots of the bodies which render unparalleled and worth citing national achievement tasks. I am sure better sense would prevail upon the concerned people and they rescind their ill advised decision. Brilliantly argued case in defence of national 'Institutions' not 'bodies' please. Why not combine the Urdu Dictionary Board and the Urdu Science Board just for fun? Well argued article . Govt should take its decision back. Both institutions must not be merged at all, as they have completely different tasks, responsibilities and mandates. Pakistan the land of good for nothing experts in each and very imaginable field.